Fast-evolving Bangkok transforms from the run down into the up and coming. Recently, a creative facelift in neglected neighborhood spots means a chance to be more community in feel and artisan in movement. The BTS skytrain from the east side at Bang Chak station to the city centre stop at Siam Square is over too quickly. With its super efficiency, there’s no point to open a book and read – or even post something on social media. Such is Bangkok’s modernised transportation that’s changed life and timetables and made the once impossible possible. Zipping along on the rails allows the duration of journeys to be bearably shorter, with more time each day to work, run errands, or tour the city more effectively and beyond. More that that, it opens travellers to the energy of forgotten neighbourhoods. As a fan of public transportation, my daily life constantly takes me on journeys to discover Bangkok. In addition to the skytrain, the Khlong (canal) Saen Saeb boats and the Chao Phraya River express boats are favourite modes of transport. They take me to experience Bangkok’s constant boom in creativity in very unique ways, by chance and by choice. 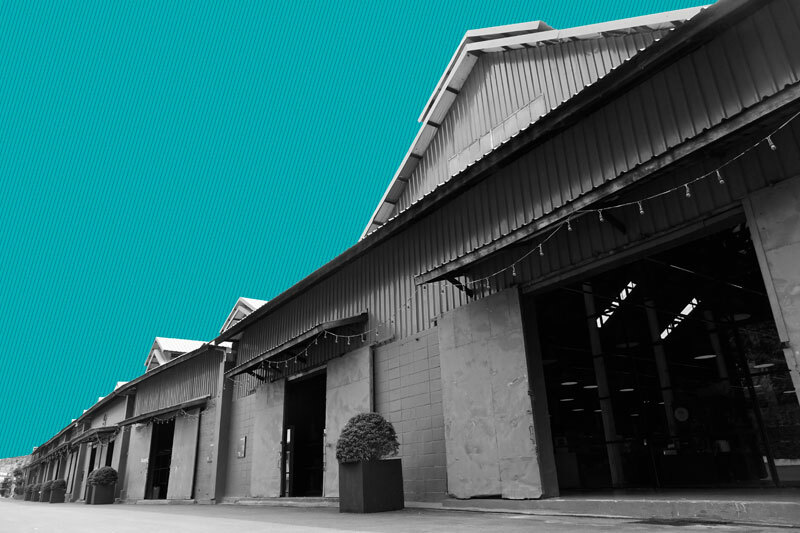 This time, the boats plied a path straight to Warehouse 30 and Yelo House, Bangkok’s newest creative projects. 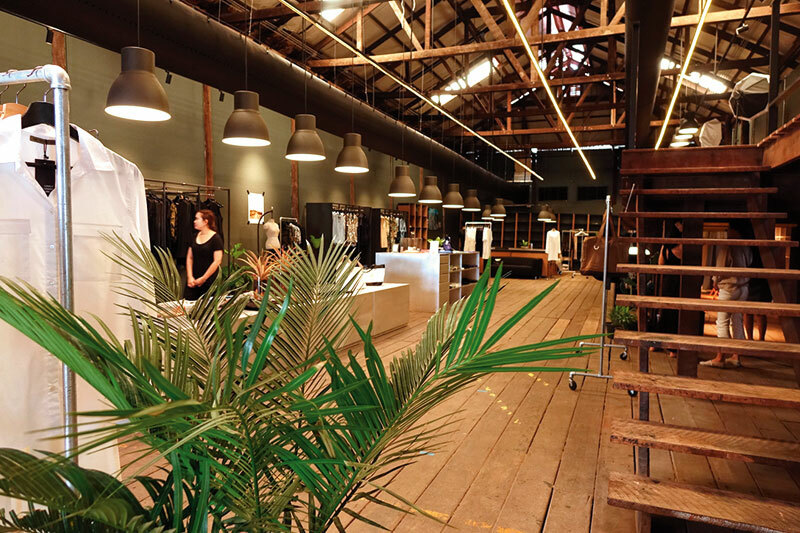 Both underwent similar renovation bound by a concept and desire to rescue and revive old warehouses, turning them into modern stimulating spaces that respect and preserve the architectural wonders in the old neighbourhoods. 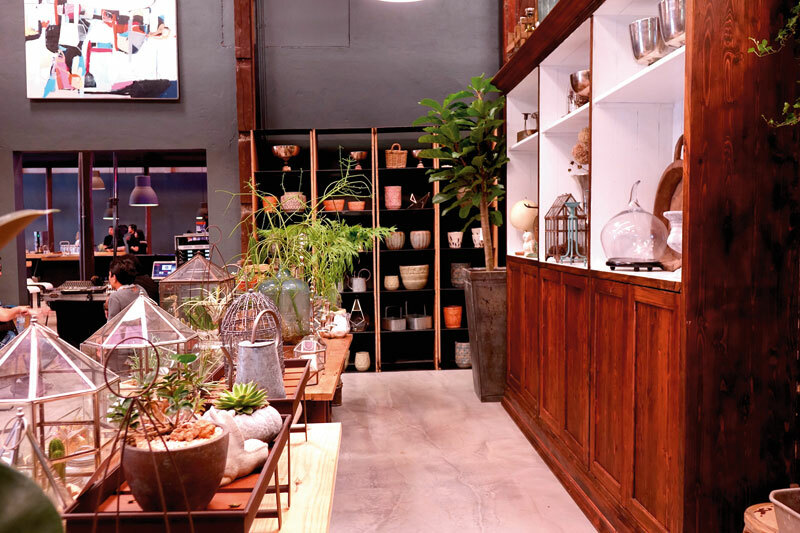 Warehouse 30 greets all those who visit on Charoen Krung Soi 30, close to the Chao Phraya River while Yelo House brings something new that’s opposite the National Stadium and close to Khlong Saen Saeb. Over the past 5 years, I have been going to the river area around Khlong San pier and Si Phraya pier for a fix of the arts in all its forms. Things started out with The Space, located on the second floor of the low-rise building next to the pier overlooking the Chao Phraya River. 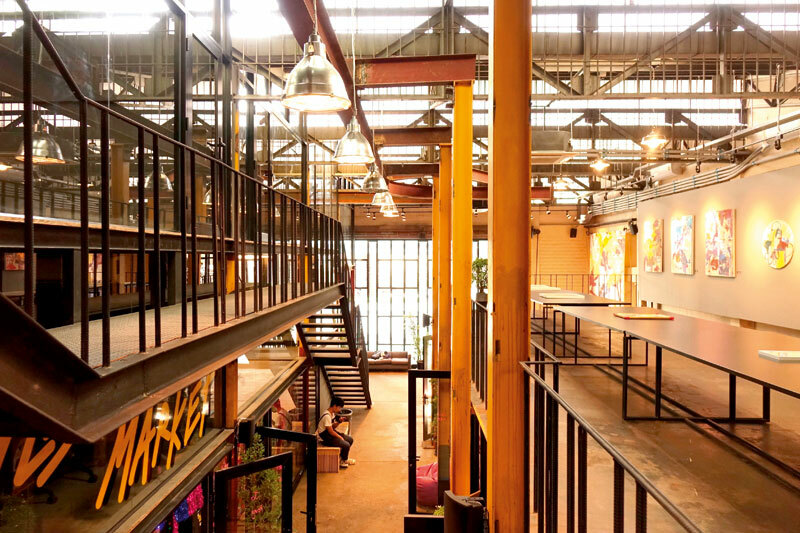 The Space was the first creative venue along the river, initiated and supported by world-renowned photographer James Nachtwey, where any form of creation had a ‘space’ in which to happen: photography exhibitions, mini-concerts, performances, pop-up dinners, workshops and more. Then came (and still is) the next-door compound of The Jam Factory, run by Duangrit Bunnag, a top-tier Thai architect who revived a set of dilapidated old warehouses into a chic space that’s home to a café, restaurant, showroom, event space, and his architecture firm.